Today, almost every average internet user accesses to Google in order to obtain reliable information on one or another issue. The fame of this global project is confirmed by the fact, that in the Russian language took root with the same name such words, as "to google", "Zaguglit" and others. But many fans are interested in a virtual world, Why Google Google? Google - the most popular international search engine, processing approximately 80% all existing Internet requests 191 language of the world. In Google, you can search for documents such formats, as: Microsoft PowerPoint, PostScript, Microsoft Word, microsoft Excel, PDF etc.. The story of this search engine is associated with 1996 year, when two students, a graduate student at Stanford University, Sergey Brin and Larry Page in the search for themes for their theses have tried to understand the structure of the global network links, focusing on their parameters, nature and other technical aspects. At the same time they take into account their value and relevance of the data. With the development of this educational project and its further development related to the appearance of Google. As the domain was registered in 1997 year 15 September. Why Google Google, I know not many Internet users. Although this word has long been present in human speech. Taking into account historical data, at 1938 the American scientist Edvart Kasner, walking in the park with his nephews, I discussed with them a large number of. When they began to discuss the number of a hundred zeros, which has no name, one of his nephews offered to call him a "googol". Subsequently mathematician in his book, "Mathematics and the Imagination" told about this number. It should be noted, that the term of a serious practical significance not received. He is more used to refer to the difference between the infinite and that a large number of. Gradually, the term has become an integral concept of many intellectuals. That's the word and decided to use Google Ltd creators of the future. 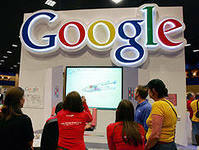 In developing Google, main goals was to create a search engine with an endless database and does not end Web resources. There is an opinion, typo that was made in the registration of the domain. But since the brand has become recognizable among Internet users, so there was no need to change anything. Such errors often occur during registration is not only the domain, and legal entities. The cause of such errors can be commonplace when placing rush. Another opinion is due to the fact, googol that domain at the time of registration of the eponymous search engine has been busy. Therefore, the creators of the machine decided to change the name on google.com. Another view, Why Google named by Google, It is, that the first check from the financiers, developers and creators of the system have received in the name of Google Ltd, that was the choice of the name. Regardless of whether, Why Google Google, the need for and use of this search engine among Internet users high. There is even a parody on this subject. 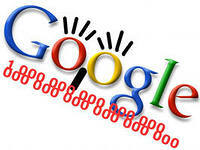 Due to the great popularity of this site there was such a thing as "googlism". It is understood as a humorous religion, at the heart of which is the assertion, that modern science does not know the essences, are as close to the World Knowledge, as Google.